Audi created the A5 Coupe for their motoring audience who wanted the intimate confides of a two-door like the Audi TT blended with more robust luxury found with sedans. 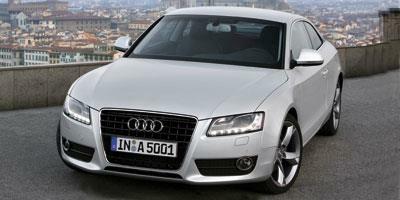 Based on the same platform what would be used for the A6 and A8 sedans, the Audi A5 Coupe arrived for the 2008 model year. A debonair two-door, the A5 Coupe first year exclusively paired a 265-horsepower 3.2-liter V-6 engine with quattro all-wheel drive. 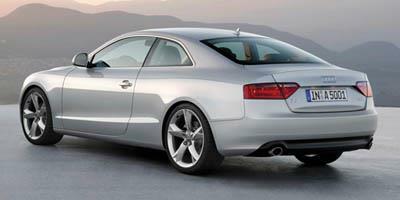 It would not be until the 2010 model year the Audi A5 Coupe would be first available with a front-wheel drive option. That introduction of front-wheel drive came with the introduction of a turbocharged FSI four-cylinder engine that would replace the six-cylinder engine starting in 2011. A substantial exterior and interior styling refresh was performed to the A5 Coupe for 2013. For 2018, the Audi A5 Coupe has been completely reshaped and re-engineered as a bolder personal luxury car. 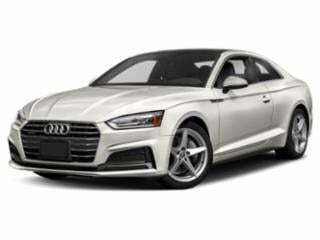 An enhanced front end exhibiting a wider, flatter Singleframe grille emphasized by a lower hood, the 2018 A5 Coupe boasts upgraded base horsepower and high-end interior features like three-zone automatic climate control and panoramic sunroof as standard. The A5 coupe is an all-new model from Audi. 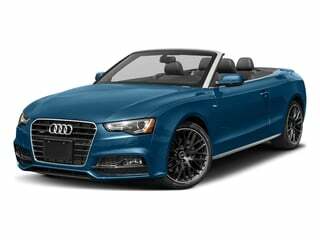 The A5 Cabriolet delivers all the features and luxuries of the A5 but with a convertible top. 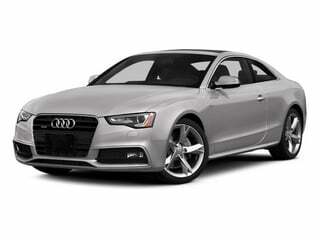 Audi’s ever-popular A5 coupe is a bold, stylish take on luxury and speed. 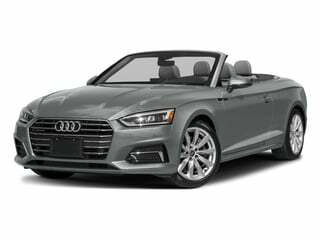 Audi’s A5 Cabriolet is a seductively styled convertible that makes it easy to enjoy a quaint Sunday drive with the wind blowing in your hair. With seating for four, coupe and convertible styles available, and long list of luxurious amenities, it’s easy to fall in love with the AudiA5. Plenty of cabin space, lots of options as far as amenities are concerned, five-star safety rating and capable 2.4-liter engine make the Dodge Dart a desirable compact sedan. A sharp vehicle with sport styling, the 2014 Audi A5 is available in coupe or convertible trim levels, both seating 4-5 passengers. Sporting a refreshed exterior and interior design, the 2013 Audi A5 is a compact luxury car available in coupe and cabriolet trim levels. A luxury car available in coupe and cabriolet trim levels, the 2012 Audi A5 combines sport and elegance to deliver a quality ride. The 2011 Audi A5 is a premium sport coupe with clean styling, excellent handling and practical all-wheel drive performance. A stylish two-door luxury sports car, the 2010 Audi A5 adds a convertible model to the lineup as well as the 2.0L turbocharged four-cylinder engine. 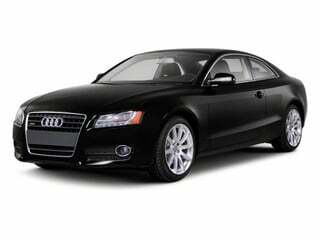 A luxury sport 2-door coupe, the 2009 Audi A5 attracts attention with its well-appointed interior, stylish exterior and capable driving features. An all new luxury sports coupe, the 2008 Audi A5 is a welcome blast to their sports car past and has a 265 hp 3.2L V6 under the hood.